Deli is an office supply manufacturer in China. We mainly provide office supplies such as pocket calculator, paper shredder and adhesives. The picture shown left is our stationery tape. If you click the icons below this picture, you will find other related products. They can meet your different needs in office, school or at home. Welcome to choose! Thanks! 2. Good climate adaptive ability. good anti-tension ability. A kind of commonly used office product and it is suitable for package sealing, mend the break of papers or join papers together etc. 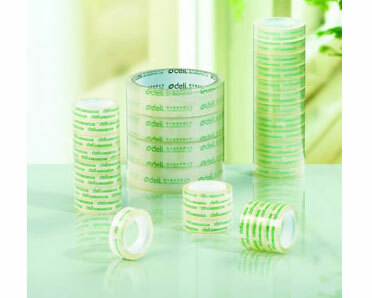 Office supplies like adhesives (glue sticker, sealing tape, stationery tape etc. ), fiel keeper, stapler and punch, pencil sharpener and paper cutter etc. can all be provided by Deli, a professional stationery supplier in China. Welcome to choose our office supplies. » Tape Dispenser 1. Blades and rotor are both fixed by screw: so the tape dispenser is stable. 2. Blades of the tape dispenser is nickel plated. the coat is polish finished. » Whiteboard 1. Whiteboard is a kind of essential supplies. Deli, as a office supplies manufacturer, can also provide lots of whiteboard accessories: whiteboard frame, whiteboard marker and whiteboard eraser etc.